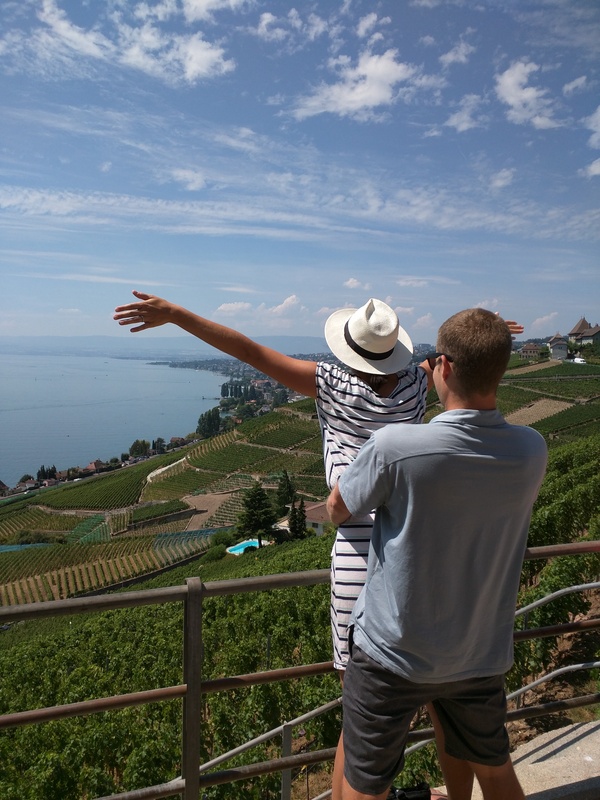 Our Switzerland trip was a quick one, and thankfully so because this place is pricey! Peter and the Moiron crew were headed to Geneva to pick up a few more friends and we decided to tag along. 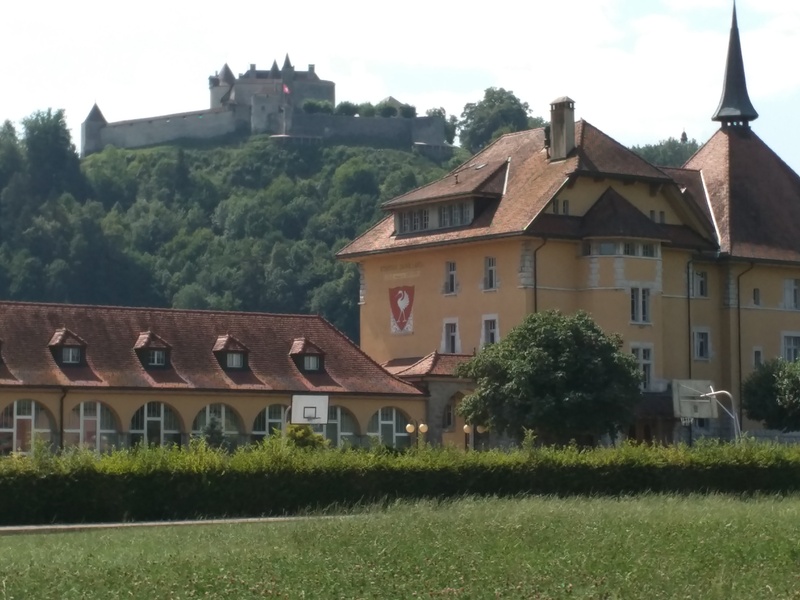 The first day, we headed to the countryside to visit Gruyere castle and Maison Caille chocolate factory. 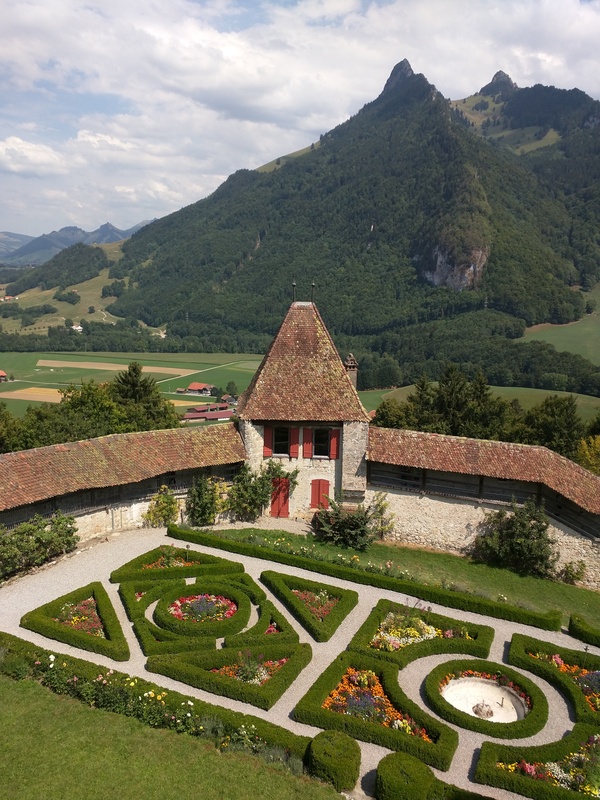 Built in 1270 Gruyere castle was built to protect a valley that would go on to become famous for a cheese of the same name. 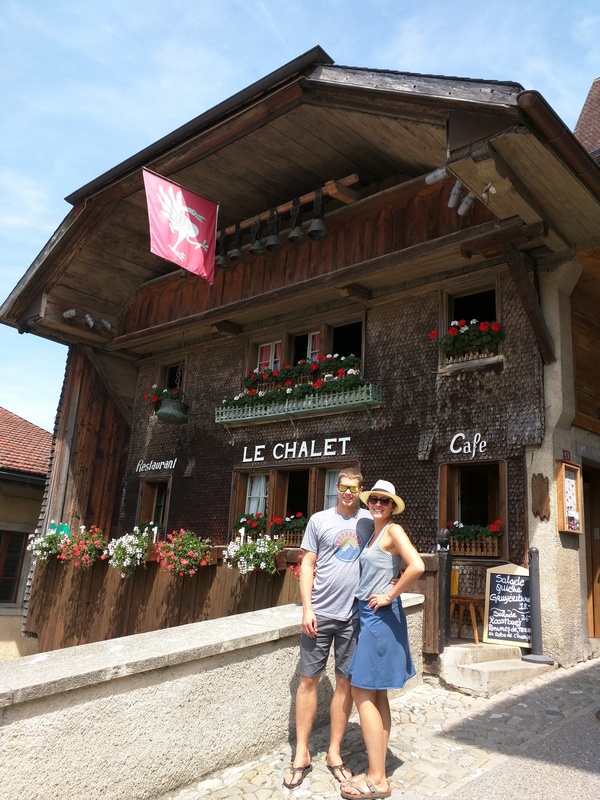 After visiting the castle we stopped for the quintessential Swiss Fondue lunch, okay so we knew this was a tourist trap, but they actually have some of the best fondue around. Fondue, a glass of wine and a small meat platter for 2, $100, ouch. Maison Caille bills itself as the first chocolate factory. Before they got in the business, people only drank chocolate. They were the first to combine it with milk and sugar, creating the chocolate bar we know today. During the great depression, times got tough for Maison Caille and they were forced to merge with another upstart local company called Nestle, the candy giant was born. 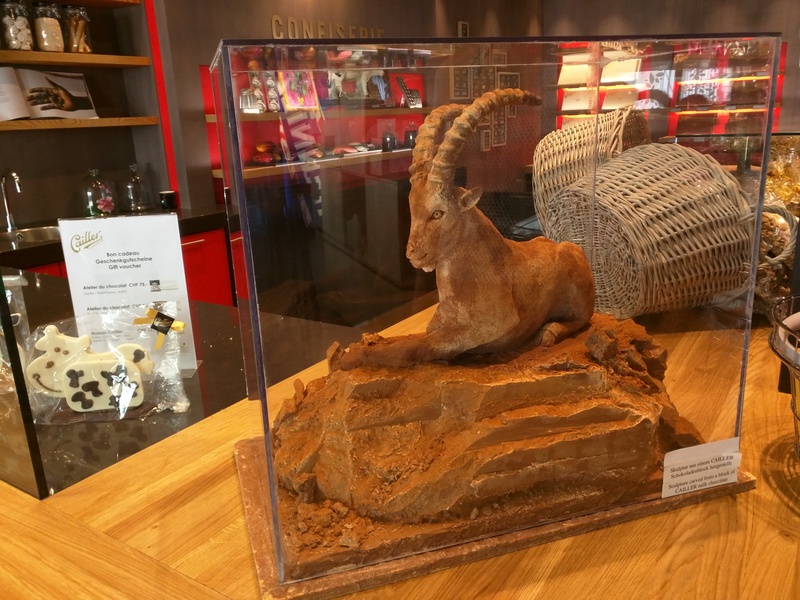 Dan was really amused by the carved chocolate Ibex in the gift shop. 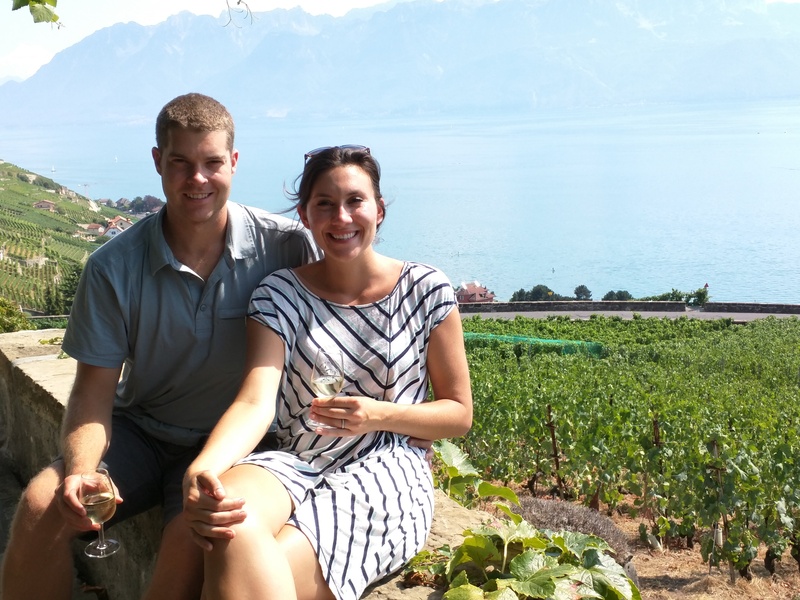 Day two of our Swiss adventure took us swimming in Lake Geneva and wine tasting on the surrounding hills. Lake Geneva is one of the most beautiful places we have ever seen. Like Lake Tahoe but surrounded by vineyards, it is stunning. Does anyone else hear Celine Dion singing? 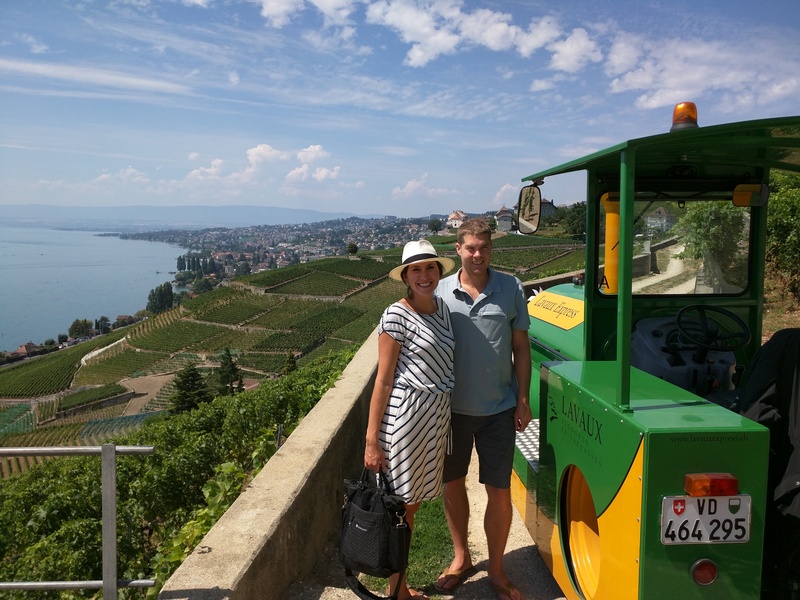 We started our wine adventure by taking the wine train. This picture is nice but overall the wine train was pretty stupid. We wouldn’t recommend. Luckily, Peter knew somebody and we were able to get an invite to a patio of a local vineyard owner and producer who doesn’t usually give tours. The vineyard owner came down to meet us with a huge smile on his face and his shirt unbuttoned about 3 notches. We got the feeling this guy didn’t make a ton of money, but he has the greatest views we had ever seen. In Switzerland, not a lot of money probably means his property is worth $10 million he still makes way more than you. 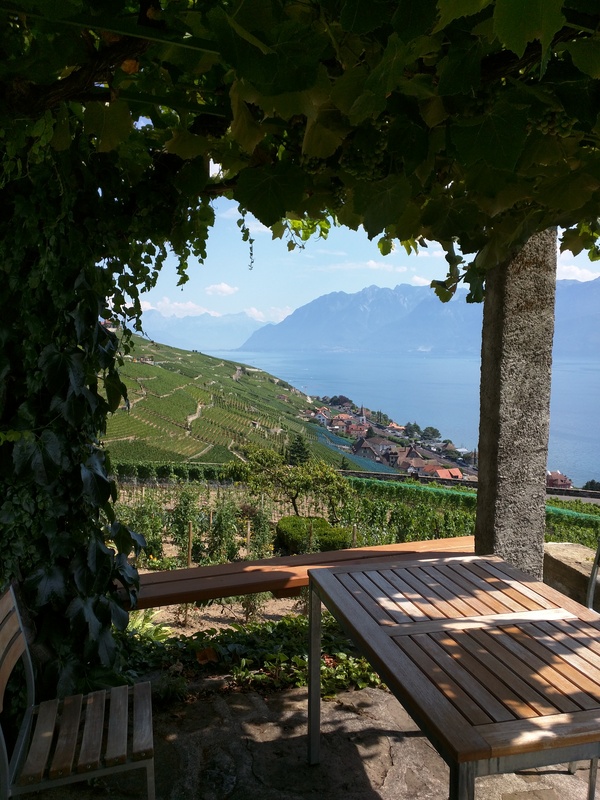 Cheap Swiss wines go for $30 a bottle. That night we headed into Geneva for a night on the town, $25 hamburgers and $12 beers. 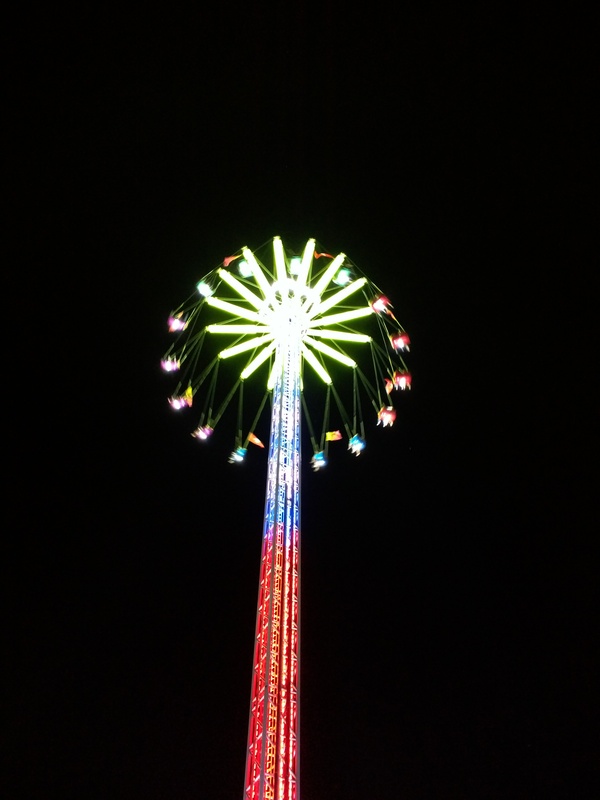 Luckily, Peter spotted Kristin for a ride on this spinning contraption at the local carnival. “It was only 80 feet up” he said. Actual height over 200 feet.